Discover the best of what life has to offer in the City of Weslaco! Right in the heart of the Rio Grande Valley, the Weslaco real estate boasts a prime location which is optimal to both residential and economic development. The almost 40,000 residents take advantage of affordable real estate neighborhoods with a wide variety of single family homes, townhomes and condominium complexes. Notable gated communities offering luxurious homes on golf courses are the Braeside Terrace, Paseo del Angel and Tierra Santa subdivisions. Cornerstone, Meadow Estates and Mid Point Manor Estates are some of the large gated subdivisions with custom made houses and large spaces of lawns and backyards. There are also small established neighborhoods that are near the community center; among them are Hidden Valley, Southgate Woods, Quail Hollow and Westgate Woods. Weslaco’s exceptional quality of life is spearheaded by their first rate education system provided by the Weslaco Independent School District currently operates 28 campuses offering the K12 academic program. 5 schools under the South Texas Independent School District, 4 private schools and 2 charter schools also provide excellent education. A strategic location of this Hidalgo County, Texas city is optimal for business with its quick access to surrounding commercial hubs and the facilities of the City of McAllen and Harlingen. This gives access to both residents and businesses alike to airports like The Weslaco Mid Valley, McAllen Miller International and Valley International Airport. Add the Weslaco-Progreso International Bridge which connects Southern Texas to friendly border city of Nuevo Progreso, Mexico, this healthy economic atmosphere and proximity to a bustling international trade and commerce market really gives the local community a high quality of life. 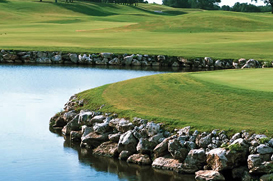 Weslaco’s real estate also offers various area attractions and recreational facilities for golf, shopping and the chance to enjoy the Texas states natural parks and preserves. Cross the border and enjoy the annual fiesta celebrations or head to South Padre Island to have fun on its refreshing shores! Call us today and we will help you explore Weslaco – one of the best places to relocate your family in this region of Texas!